Turn to a reliable local construction specialist for a home with a classic elegance. Phone Philip Netherwood Building of Corsham, Wiltshire, for traditional stonework and building services. My name is Philip Netherwood, and I have over 30 years of experience in the construction trade. My experience of growing up in Wiltshire, surrounded by quality local materials, has inspired my love of using Cotswold and Bath stone. Over the years, I have managed projects ranging from large housing developments to individual homes. My knowledge and experience makes me an expert in this field and has given me the privilege of working with numerous clients. 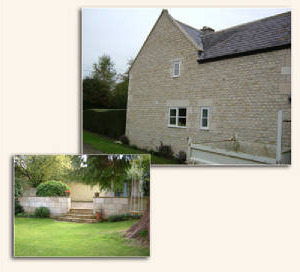 Tackling projects both big and small, I specialise in the use of Cotswold and Bath stone. Turn to a dependable local tradesman. If you require a quote for a job, please do not hesitate to get in touch and I will arrange for a personal visit. I cover a large variety of building services to complete your dream project with one call. These include whole new builds fashioned from traditional stone and brickwork. Turn to me for all aspects of house extension work. These projects include brick bases for a conservatory, or double-side and back extensions that maintain the character of your original house. Call now for a free estimate. I have undertaken all manner of interior and exterior refurbishment, including open-plan interiors with steels into the ceiling to create a flat eyeline. Contact Philip Netherwood Building for reliable building services that use stunning local stone for a classic effect.